With Love from us to you; Happy Birthday Freddie Mercury! 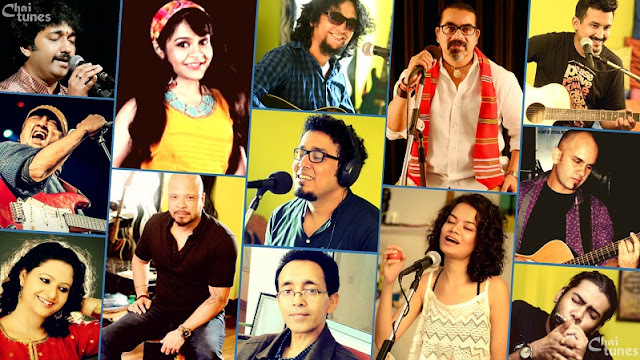 Bands come and go, musicians come and go...but the way some of them leave an impact behind, is a phenomenon that every music lover fails to evade. One such band and musician that springs to everyone’s mind, especially on this particular day, is “Queen” and its front man Freddie Mercury. Celebrating the 65th birthday of a diva whose profound musical ingenuity continues to influence and mesmerise listeners till date, September 5th returns to firmly reflect the eternal presence of Freddie Mercury-the man who carved a niche for himself as a legend and as one of the greatest figures in rock and roll history. 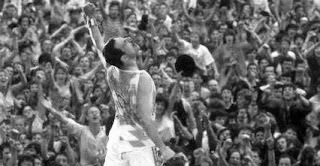 It’s about to be almost two decades of the physical absence of Freddie, but fans young and old alike, fans too young to remember or too late to witness him alive and fans fortunate to see his flamboyant persona, continue to fondly remember him on this special day. "When I'm performing I'm an extrovert, yet inside I'm a completely different man. "—Freddie Mercury. 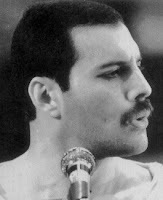 Indeed, Freddie’s life was nothing less than a tempestuous drama. As one leafs through the archival records of his life, the numerous fan websites and articles by close ones of his, the poignancy of his life always strikes. A brilliant musical genius, a dynamic influence for many a more great rock and roll bands, an influence on the lives of many a million fans, Freddie was an immensely admirable man on the personal side too.